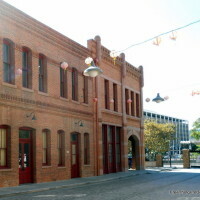 Here is yet another gem in LA’s oldest part of town known as Olvera Street. Despite it’s proximity to one of LA’s tourist destination few have seen and experienced this relatively new Museum tucked away down a quiet alley. 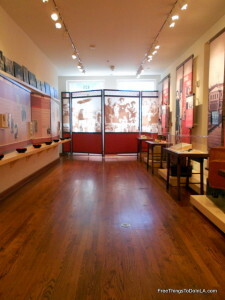 The Chinese American Museum does a great job of describing and highlighting life of early Chinese immigrants who traveled thousands of miles to make a better life for themselves in America and Los Angeles. 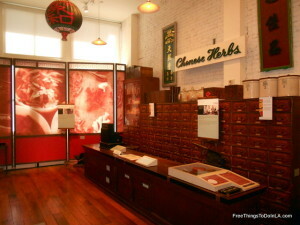 As you know, I like to leave descriptions to the pictures but the highlight of this cool little free museum is the Chinese Herb Store they recreated on the first of their three floors. 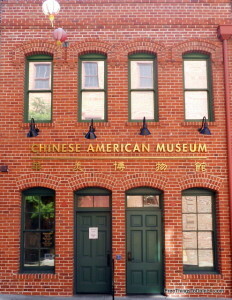 The museum also highlights the hardship of the journeys Chinese immigrants with displays of what little they traveled with, passports and so forth. One special treat is they ask you to picture yourself leaving your whole family and life and imagine you only communication is a post card or two per year. While there, I took advantage of their offer to let visitors write and send post cards to their own loved ones. The place is very quiet and the staff is super friendly. There is a lot more to the museum than you can see in the photos because they also display art which can’t be reproduced so photography is normally not allowed. This is a must see on any trip to Olvera Street or the surrounding area and best of all it is yet another great free thing to do in LA. 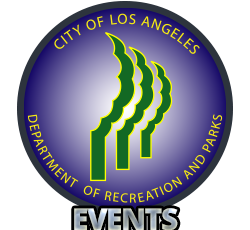 They are open Tuesday through Sunday from 10AM-3PM.